The SEND e-newsletter gives information and news about what is new and being developed in the world of SEND and the Local Offer in Norfolk. Thank you to everyone who has contributed ideas and news articles to this edition. A successful partnership project which sees the local authority, health and a multi-academy trust work together to provide the best possible learning opportunities for vulnerable children has been shortlisted for an award. Compass Schools, which is a collaboration between Norfolk County Council Children’s Services, Norfolk and Suffolk NHS Foundation Trust (NSFT) and the Engage Trust, has been named as a finalist in the ‘partnership working’ category of NSFT’s Putting People First Awards 2018/19. 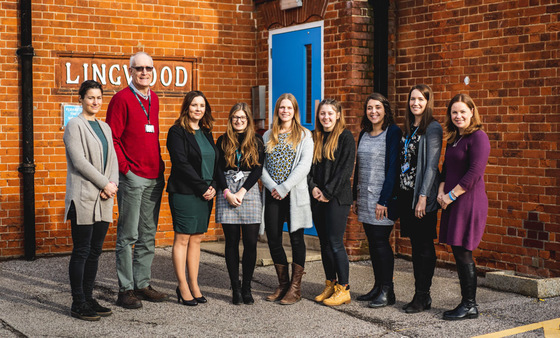 The schools are jointly commissioned and funded by Norfolk County Council and Norfolk’s five Clinical Commissioning Groups to support the needs of children and young people with special educational needs and disabilities (SEND). Compass runs schools at Belton, Lingwood and Pott Row for children aged 5-14 with Education Health Care Plans whose needs cannot be met in mainstream schools. The pupils that Compass supports experience difficulty with emotional and behavioural regulation, attachment-related difficulties, and mental health difficulties. Many of the children have had adverse childhood experiences or early life trauma. The schools were established in 2009 and are staffed by a multi-agency team of teaching staff and therapists who work creatively to provide a flexible and individual response to the needs of young people in the hope of preparing them for reintegration into mainstream school. “Compass Schools offer an excellent example of a truly collaborative and successful partnership between health and education, with strong links in social care, which ultimately enhances the quality of care that we deliver to our service users,” said Clinical Psychologist Dr Charlotte Montgomery, who nominated the team. “The culture of the schools is one of inclusivity, working on young people's strengths using an integrated approach to education and therapy." “We work positively with children who have experienced high levels of instability throughout their education histories to create a safe base from which both their education and therapy needs are met. We are non-judgemental and understanding with parents and carers, and work with them respectfully and collaboratively. “Our staff have adapted their practice to overcome operational barriers caused by cross-agency working. They also embrace a culture of learning, which ensures they have the right knowledge to provide the best possible support to service users." “We believe Compass Schools is a unique service that places collaboration, joint-working, shared responsibilities and the coordination of the key agencies and people in a child’s life, in the centre of the model of care. For parents or carers, our focus on working together means that they feel our service has an understanding of every aspect of their child's needs." Cllr Stuart Dark, Chairman of the Children’s Services Committee at Norfolk County Council said, “We want all children with special educational needs in Norfolk to get the right help as early as possible, whether this is in mainstream or specialist schools." On Monday 17 December, the Secretary of State for Education announced additional high needs funding to be shared between local authorities (LAs). The government is providing a further £125 million in 2018-19 and £125 million for 2019-20m, in recognition of the current pressures on high needs budgets. There will also be a further £100 million top-up to the Special Provision Capital Fund shared between LAs in 2019-20, to take the total investment to £365 million across 2018-21. This will help LAs invest in improved facilities and additional school and college places for children and young people with SEND. commissioning SEN Futures, a long-term research package assessing the value for money of SEN provision in England and analysing the impact of current provision on children and young people's outcomes. The Secretary of State's letter to LAs, detailing these announcements, can be found here. Minister Zahawi's letter to Dame Christine Lenehan, providing detail on the SEND System Leadership Board, can be found here. Children’s Services Committee have voted to set up a new Early Childhood and Family Service from October 2019. Staff across Children's Services and the wider council have spent many months working on the proposals. support an enhanced online and digital information, advice and guidance offer for all. Norfolk County Council’s Accessibility Strategy for Schools (2019 to 2021) is now published. The Strategy sets out how the County Council will work with schools in Norfolk and across our own services to increase access to education for disabled children. It provides the context for individual school accessibility plans as well as the legal framework. a lack of understanding by some county council/school staff about how to maximise the accessibility of the learning environment to consistently meet the needs of disabled children and disabled parents who wish to support their child and take an active part in school life. Every school is required by the Equality Act 2010 to develop an accessibility plan as they are in the best place to understand the needs of individual pupils and their families. This over-arching Schools Accessibility Strategy sets the context for school accessibility plans and is based upon information gathered in 2017/18 from disabled pupils and parents. The Personalised Travel Scheme (PTS) has been running for almost a year, providing funding for families of Norfolk children with SEND to organise their own home to school transport, instead of being restricted to a taxi. It has been very well received by parents and children alike, with journey times reduced and many of the issues of sharing a taxi with other high needs children being removed by families organising transport in the way they know best. The scheme has been extended to the end of the current academic year. This will allow families more time to enjoy the benefits of the scheme and more people to take up the offer, giving us a greater range of feedback on families’ experiences. This means there is still more time for new families to join the scheme. If you are interested, or know someone who might be, visit Personalised Travel Scheme (PTS) or call Will Tait on 01603 223168. A new SEN Information Report Best Practice Guide is in development and will hopefully be published on the SEND Local Offer in March 2019. It is aimed at all educational settings, including academies, free schools, special schools, colleges and independent schools. The guide is there to strengthen the quality of SEN Information Reports and ensure good and accessible information about the provision and support offered to children and young people with SEN.
To book your place call 01603 704070. A Supported Internship is for young people with SEND (Special educational needs and disabilities) who have an EHC plan (Education, Health and Care plan) to provide support in the workplace, enabling them to move into employment. A Job Coach will match the skills of the young person with appropriate job roles, negotiate with employers and attend in the workplace to support the young person to carry out their work. 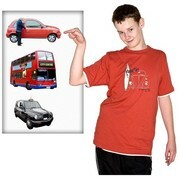 Off job training is also provided such as English, Maths and personal development skills. Norfolk County Council has funded Job Coach training for 28 staff across a range of organisations including FE and private training providers, day services, schools and voluntary groups. They will be all be trained and ready to work with young people from April 2019.
must have undertaken work experience and possibly a traineeship. An internship can last for a year and the intended outcome is the offer of a job with the employer. This project will significantly increase the opportunities for young people with SEND to progress into sustainable employment. If you would like to know more about Supported Internships and local providers, please contact CS.RPAQueries@norfolk.gov.uk quoting Supported Internships. Norfolk County Council Community Learning Services is offering free courses for people aged 19+ with learning disabilities. Norfolk SEND Partnership are offering a Tribunal Workshop for parents wishing to appeal their final Education, Health and Care plan. The workshop will be held on Wednesday 20 March 2019, 9:30-12:30 at The Woodside Hub, Witard Road, Norwich, NR7 9XD. There will be some individual time slots available for individual support from 1pm but these must be booked in advance by calling 01603 704070. This annual conference, is free to all parents and carers of children (0-25) with Special Educational Needs and/or Disabilities (SEND). Sara Tough, Director of Children’s Services, is the keynote speaker. She will talk about her vision for Norfolk to an audience of parents and carers of children and young people with special educational needs and/or disability (SEND). The conference also offers information stands, workshops and the chance to speak directly to service providers and others. A free buffet lunch and activities for children with SEND at The Clare School is also provided. We’ve recently published our Local Offer for Care Leavers, which details all the services and support available to those leaving our care. All local authorities had to publish these by the end of 2018. We want the information held here to be up to date, relevant and useful to our care leavers, so that we make sure they have access to the very best online information. last year, we were one of the first two-tier authorities to agree a council tax exemption for our care leavers. we’ll soon be opening the first of our new semi-independent accommodation for care leavers. we’ve recently signed up to an agreement with Job Centre Plus, to provide enhanced job seeking and benefits advice to our young people. This is all part of our developing Corporate Parenting Strategy. Work is taking place in several settings, including the Joint Looked After Children and Leaving Care Service Development Group and the Corporate Parenting Strategic Partnership Group to develop the services which will continue to improve outcomes for our care leavers. Musical Keys are looking for participants for their weekly music sessions. The sessions are aimed at pre-school aged children with disabilities and additional needs, and their families. The sessions are held at NANSA Family Centre, Woodcock Road, Norwich, NR3 3TT. The Community Sports Foundation are offering sessions for children (6 to 16 years) across all levels of sight impairment at Carrow Park, Norwich, every Friday from 5pm till 6pm. These sessions give participants the chance to play football against players with similar disabilities, the sessions are designed to improve footballing skills whilst strengthening social skills such as self-esteem and confidence. The price is £1 per session. To reserve a place and for more details please contact the CSF Disability Team on 01603 761122. Norfolk County Council (NCC) wants to find out about all co-production activities that have taken place with children and young people with special educational needs and disabilities (SEND) and their families. Co-production is about listening and learning from your service users as you start to plan a new service or when reviewing a service. It is about reflecting on and using views to review and develop the service(s) you provide. The feedback should be shared and it should be clear how service users' views have shaped the development of the service. For example; "you said, we did". If done well, the act of co-production builds trust and understanding between a service provider and their service users. does your organisation provide services to children and young people with special educational needs and disabilities (SEND) who live in Norfolk? have you worked with children and young people with SEND and/or their families to co-produce any aspect of your service in the last 12 months? If so, please complete this short survey to tell NCC about your co-production activities and share your good practice. This survey closes on 31st August 2019. The information that NCC receives from this survey will bring together in one place, information about the co-production that is happening across Norfolk and how this is shaping services. The results of the survey will be summarised in a report showcasing the best practice. The report will be published on the SEND Local offer within Views and Reviews in September 2019. It will help others to learn from and celebrate what is happening in Norfolk. The new statutory assessment will replace P scales 1 to 4 and will be based on the '7 aspects of engagement', originally developed through a DfE funded project led by Professor Barry Carpenter in 2011.It is an assessment approach that focuses on pupils abilities in specific areas like awareness, curiosity and anticipation. Whereas P scales focus on linear progression which is not always how children with the most complex needs progress. This will, for the first time, enable every kind of progress made by these pupils to be identified, helping teachers to best tailor their teaching and provision to meet the pupils' specific needs and allow them to achieve the best possible outcomes. Detailed guidance and training will be developed and provided for stakeholders, including schools, local authorities, Ofsted and parents. Read more here. SEND newsletters - a range of newsletters relating to SEND, plus back copies in case you missed one! SEND Local Offer for children and young people - probably the first of its kind, an accessible website for children and young people aged 11 to 25, containing accessible information, videos and resources to help them prepare for adult life. And coming soon... a new preparing for adult life section for the grown-ups! Hopefully we can give an update and link in the next edition.